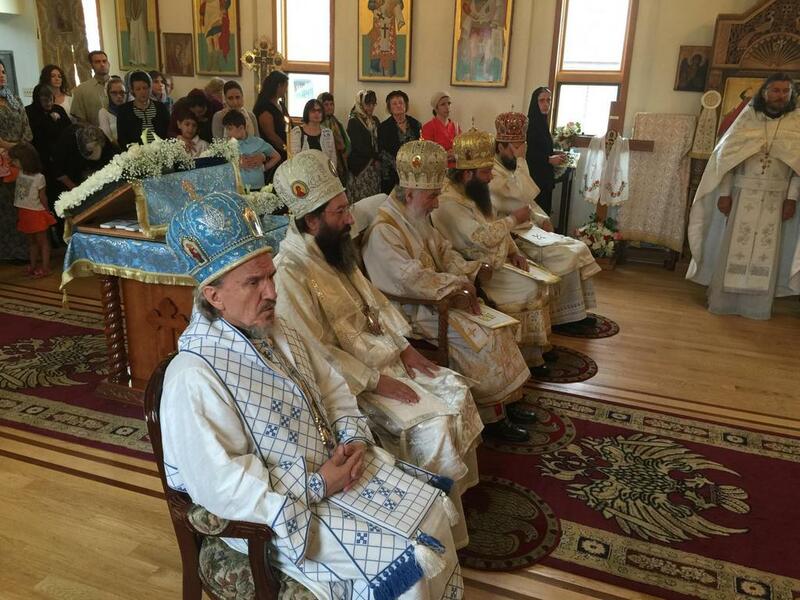 New Jersey - The Serbian Patriarch, His Holiness Irinej, visted on September 10, 2015 the St. John the Baptist Church in Paterson, New Jersey. 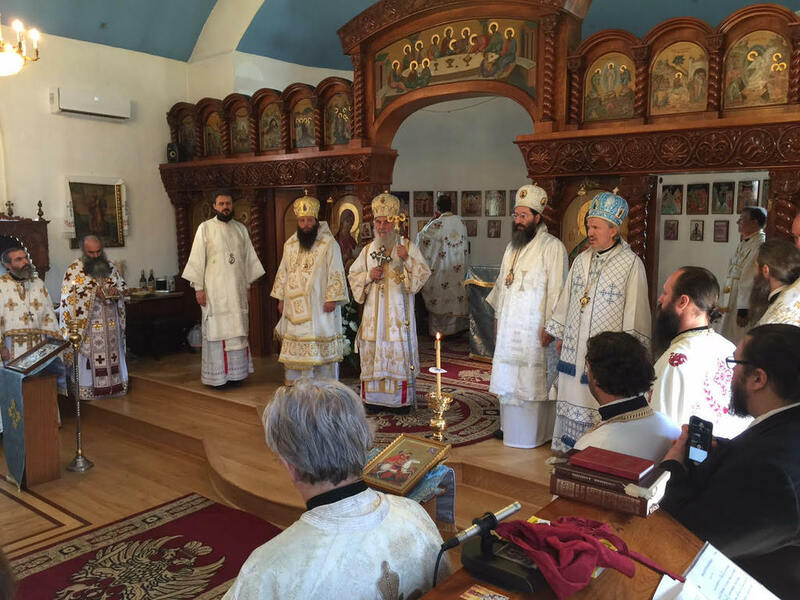 Patriarch Irinej, together with Bishops Justin and Maxim, were welcomed by Bishop Mitrophan of Eastern America. Many faithful welcomed the patriarch with a Doxology service served by the parish priest V. Rev. Vladislav Radujkovic and Protodeacon Damjan Bozic. The parish priest welcomed His Holiness, the Serbian Patriarch. His Holiness greeted the hierarchs, clergy and people of God. In continuation an agape meal and a program were prepared. 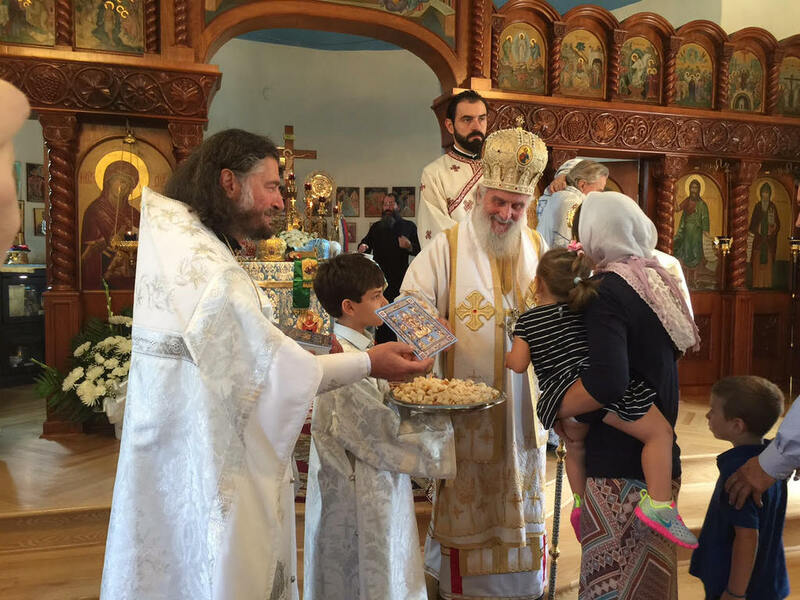 On September 11, 2015, on the feast day of the Beheading of St. John the Baptist, His Holiness served the Holy Hierarchical Divine Liturgy at St. George Serbian Orthodox Church in Elizabeth. 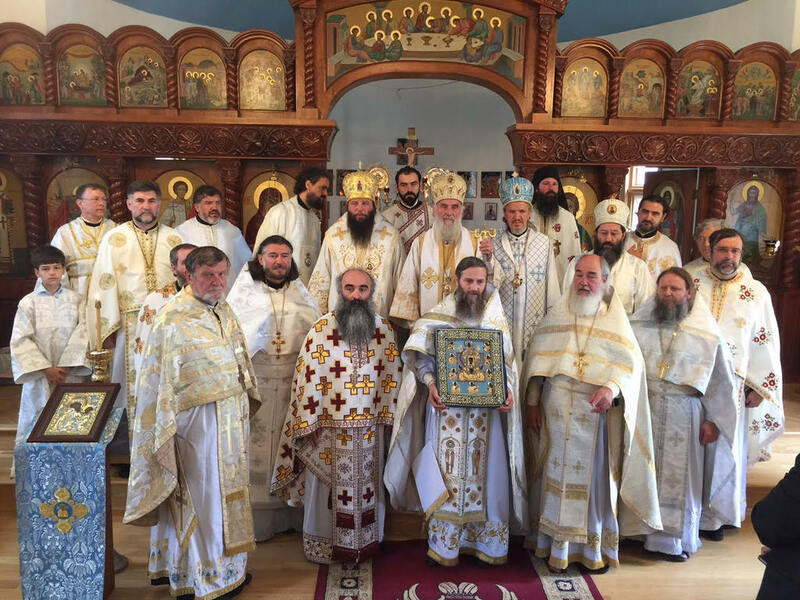 Concelebrating were His Grace Bishop Nicholas of Manhattan (Russian Orthodox Church), His Grace Bishop Mitrophan of Eastern America, His Grace Bishop Justin of Zicha and His Grace Bishop Maxim of Western America as well as many clergy from New York.